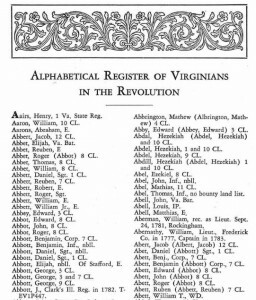 There are nearly 18,000 records for state rosters of American Revolutionary War soldiers and sailors from the states of Alabama, Connecticut, Massachusetts, New Jersey, Vermont, and Virginia available on FamilySearch.org. 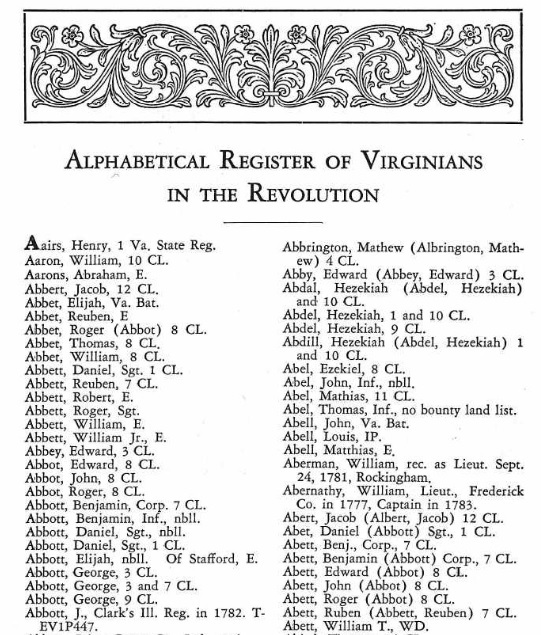 It covers the years of 1775 to 1783. 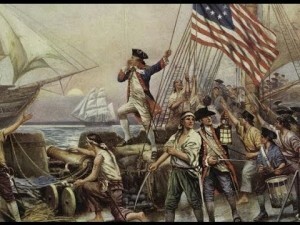 Each of the six colonies or territories are different in the type of information provided. Most do have which military unit, regiment and company they were with, when they entered the service and when they were discharged or if something happened to them. 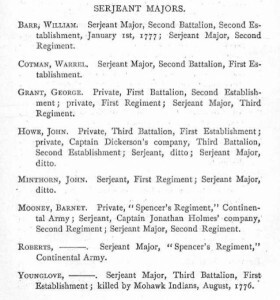 One example was in the New Jersey listing for the Sergeant Majors, in the Third Battalion, a fellow whose surname was Younglove was killed by Mohawk Indians in August 1776. 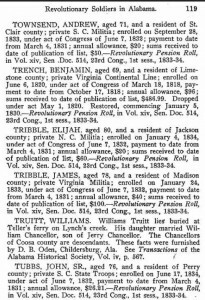 In the Alabama records, these were not soldiers who served from Alabama but rather from colonies such as North Carolina, etc who later resettled in Alabama and their pension records recorded in Alabama, their residence years later but with their military service in another area. There is no search box for the whole database or for individual colonies / states. 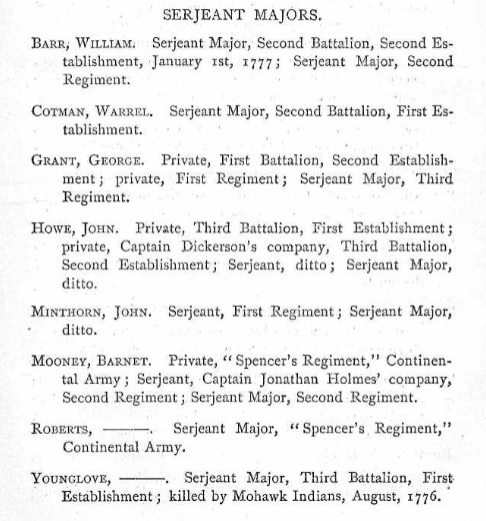 Most do have a table of contents with alphabetical listings of soldiers-sailors for each state. So it will take some research to see if you can locate information on an ancestor. 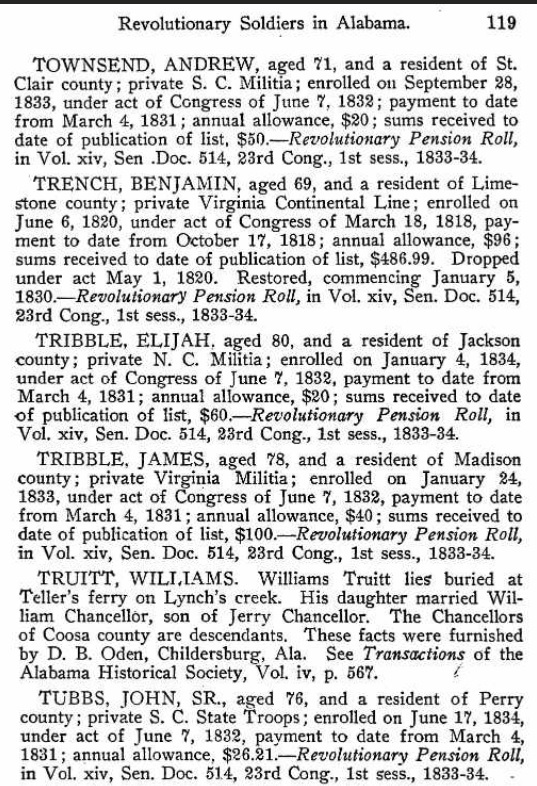 With some luck if you had ancestors during the 1770s-1780s serving in Connecticut, Massachusetts, New Jersey, Vermont, and Virginia or living later in Alabama, you might had some new valuable information us the FamilySearch.org collection. 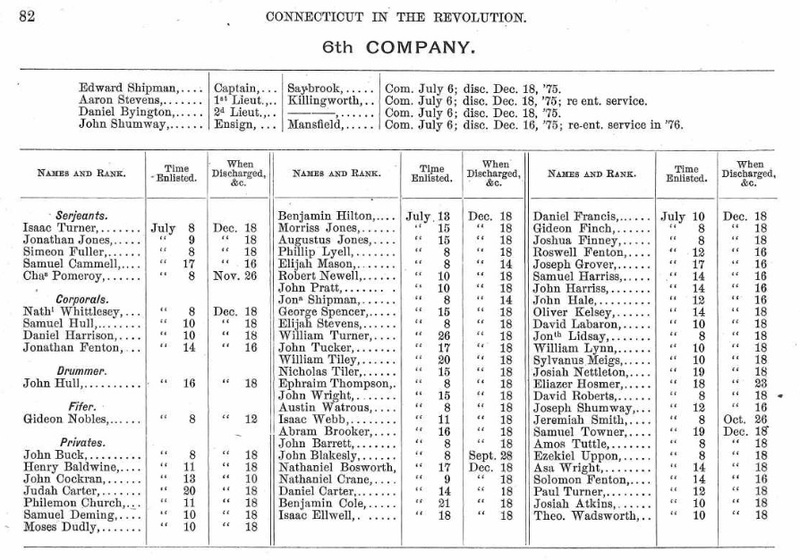 Photos: American Revolutionary soldiers and sailors; records from New Jersey, VA, Conn, and pensions for those living in Alabama. 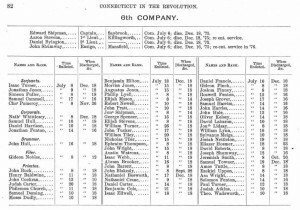 Any Ancestors in the American Revolution? What Wars Did Your Ancestors Serve In?